MASKerade: CASology 14 - Leaf! 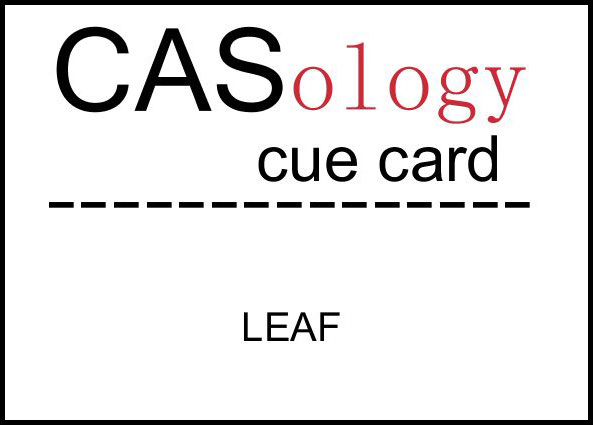 Recently, I've seen a couple of cards made using a real leaf. Karen Dunbrook used a leaf as a mask, so I thought, why not use a leaf as a stamp? I went out to my raspberry bushes in the back yard and pulled a few leaves and brought them into the craft room. Then I wasn't sure how to ink a leaf. I figured distress inks were the way to go - they're really wet and I have some nice bright fall colours. I laid the leaf face up on a scrap piece of paper and then laid my Lemonade distress ink pad over it. Then I did the same thing with my Festive Berries ink pad. I laid the leaf face down on my panel and 'leaned' on it with my largest acryclic block, to ensure even pressure. Then you should have seen me 'cleaning' the leaf so that I could use it again! lol! I kept the rest of the card very simple to showcase the pretty colours, shapes and natural texture that using a real leaf created. this is a stunning card, love the colors and how you used your leaf is amazingly. I was going to comment on the gorgeous stamp then I read your words...of course a real life is gorgeous!!! Great idea...beautiful colors! This is gorgeous, Ardyth. The colours of the leaves are fabulous. Ardyth, this is beautiful and I love the way you told us you accomplished this. I must give it a try. Wow, I love those vibrant autumn colours you've used, Ardyth! I love the uneven coverage. Creative to use ink on a real leaf! Our yard is covered with leaves....may have to try doing this instead of raking and let my husband do that job. Beautiful card!! This is awesome, Ardyth! When I first saw your card I was admiring the perfectly detailed leaf stamp only to find out it's really a leaf! So cool! your card is absolutely amazing, ardyth! love your leaf "stamp"... the results are gorgeous! I am headed out to the leaf pile right now to try to salvage an intact specimen!!! This is absolutely stunning! 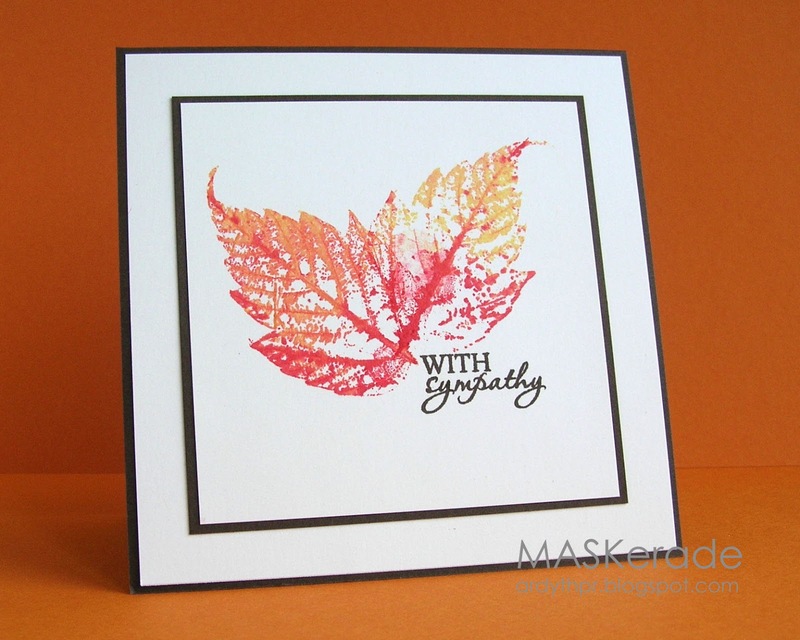 Great choice of colors and great idea to use the acrylic block to press the leaf to paper! In the beginning of the post, I was slack-jawed. At the end of the post, I was laughing. What a fantastic idea and what brilliant execution of the idea! But, Shirley Ardyth, there are more leaves on the raspberry bush so's you don't have to clean this one, right?! I can't believe you found a leaf and stamped with it ... LOVE that!! It turned out spectacular! What a clever card, Ardyth - and it's gorgeous, too! Fantastic card Ardyth! I LOVE that you used a real leaf and the colours are beautiful. This is just gorgeous ~ I don't I'll purchase another leaf stamp, when he real thing looks so good! Love this! Sooo gorgeous and lovely! I love the colors and the whole idea that you stamped with a leaf!